Sooo, we did it. 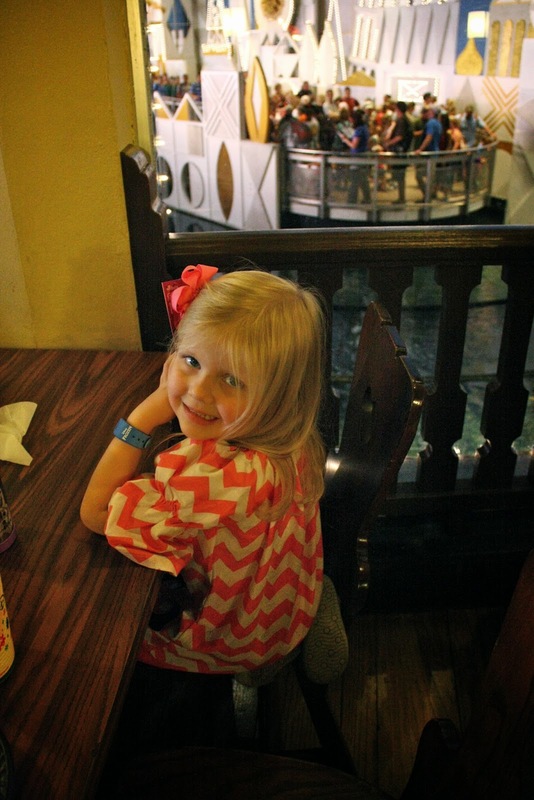 We took the biggest plunge ever and took our kids to DisneyWorld. Did I mention they we have young children? Yes, 2 and 4 years old. I wanted to take them at this age, because they still believe that the princesses are real and live in the greenbelts by our house. Seriously. They are at that magical Santa age and I did not want to wait too long to take them before they outgrew it. I know taking young kids is crazy, but it was the BEST trip ever! I was stressing major before, more like dreading the packing, the planning and the exhaustion. But it actually turned out really well and we had so much fun! Since we got back, so many people have asked me for tips so I decided a blog post was in order. Heck, if I could do it and have the flu while I was there, then I figured anyone could do it. After hearing people warn me about all of the crazy planning involved, I was upset to hear it wasn't like it was when I was a child. Like back in the day when you would arrive, stand in a relatively short line for the rides and see a parade. And the characters would be walking around where you could just go up to them and give them a hug, then skip off to the next event. Is it like that today? Uhm, no. It's not like going to Six Flags anymore. I was warned of having to get up at 5am to book a dining reservation 6 MONTHS IN ADVANCE. That I have to get a pass 60 days before my trip to ride a ride? What?? And then reading the travel guide I bought was causing me panic attacks before bed and sleepless nights, that I literally threw it across the room and did not open it again until I got to our hotel (just for the maps). 1) Get the book, The Unofficial Guide to Walt Disney World with Kids 2015 (11$) but read it lightly, and I mean LIGHTLY so you don't have anxiety at night before going to bed. It's a good reference for hotels and restaurants and has lots of tips. 2) Set up an account online at https://disneyworld.disney.go.com and you can buy your tickets on there as well. It has hotel info, etc. And link all of your stuff on your account such as dining reservations, hotel stays, etc. 3) Download the app, Disney World. It will show you how long lines are, what the Magic Hours are that day, etc. Don't worry if you are confused about this stuff, it will make sense when you read more below. The app was used by us constantly while at the park to change our Fast Pass selections. We went the week after Thanksgiving, as we heard it wasn't as crowded. So we were there this year (2014) from December 5th-10th. I've also heard January and February are good times to go too (not Presidents weekend though), October, April and the beginning of May before school gets out. -We used Tiffany Town Car service where we had our own personal driver in a Suburban, who met us at the baggage claim, picked up all of our luggage AND the best part, stopped off at a Publix Supermarket for a 30 minute shopping trip. Cost is around (65-80$ one-way) and 115$ round trip plus tip. And the supermarket stop was a winner for us!!! More on that in a minute, but we stocked up on bread, snacks, sandwich items, water, etc. Saved us lots of $$$ for our 5 day stay. 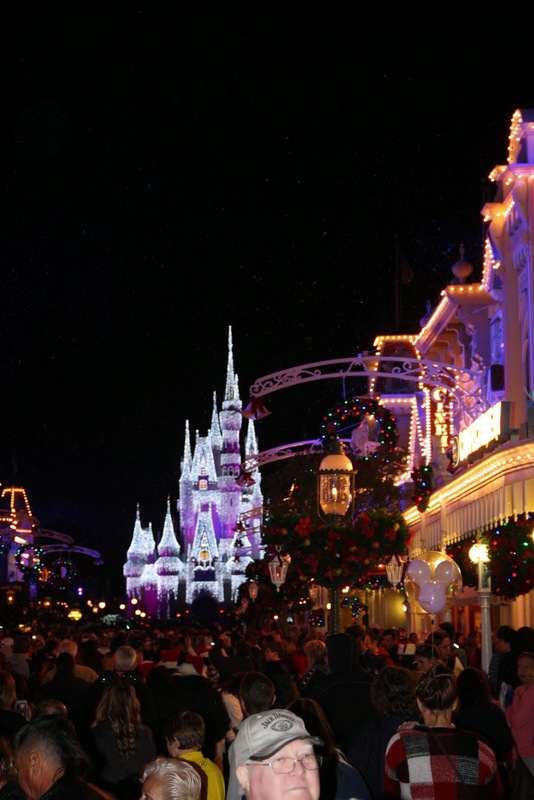 -If you are staying at a Disney OWNED Hotel, you can use their Magic Express service. It's free and they will help with your luggage as well. The only downside I've heard is that you have to board the bus with other people staying at other hotels, so it can take an extra 45 minutes to an hour to get to your actual hotel. And with small children crying and whining, getting to your hotel fast is our priority. And note that the airport is NOT close to the theme parks. (Our hotel the Dolphin, is considered a Disney Hotel, but is not owned by Disney so we did not qualify for Magic Express). -Taxis are about 53$ one way, so the Tiffany car service we used was about the same price and much better service! -Renting a car.. well, the cost adds up if you are there for 5 days, and hotels charge around 15$ per day to park, and there are tolls, you have to pay for gas, plus you have to bring a car seat with you for small children and pay to park at the theme parks. Unless you want to go to non-Disney places, it just wasn't worth it for us. -We used the Disney buses and SO glad we went this route and didn't rent a car. Yes, we had to wait sometimes for them, but still great because they are FREE. We did have a double stroller, and collapsing it was easy as most people also had strollers or scooters boarding the bus. You just have to hold it while you are riding the bus, which can be a pain if it's crowded. -Our hotel was close to Epcot and the Disney Hollywood Park, so they offer the Disney boat option to get to these parks as well. The boats take strollers without collapsing them, so you just push it right on board! Again, free! -Taxis are available to get to the parks but if you are going to Magic Kingdom, they can't drop you off right in front. They drop you off at the Monorail/Ferry station, and then you have to take the Monorail to the entrance to the Kingdom, so getting front door service is not easy to do. And if you self park, you are also going to have to ride the Monorail or Ferry Boats to get to Magic Kingdom too. So the buses are the best way to go. Sigh. This was a big ordeal and I stressed about this for months. I own a double stroller but it's a big one- City Select, where you have to take the seats out and then collapse it. It's a great durable stroller and I love it, but getting it around the bus systems and airports just seemed like too much work. I looked at getting an easier stroller like the City Mini Double (side by side) since it collapses easier, and was scrolling through used FB buy/sell pages for one. I also considered buying an extra umbrella stroller and getting the attachment clip so they can be side by side. But most are flimsy and fall over easily and the handles are super low. So, luckily I found a mom in my neighborhood giving away her double Graco DuoGlider Classic Connect Stroller (122$). It collapses like an umbrella but much sturdier and was a tandem style, which is even better at getting through a crowd than the side by side kind. And for 122$, it's the same price as if you just rented one at Disney, might as well buy and have your own! *Note that even if you don't think you will need a stroller, you will! There were 8 year olds melting down and getting tired there. Plus it's nice to have one to store all of your stuff while you walk around the parks. Oh and you can rent Baby Jogger and Bob strollers at stroller rental places in Orlando, but I needed one from the airport and beyond, so waiting to get to Florida just didn't work for us. You can also rent Disney strollers at the park, which are jumbo plastic things with not much storage and they are about 15$ a day for single, and 30$ a day for a double (which for 4 days adds up and you might as well have bought another stroller at this point like our Graco). Plus let me tell ya, walking from the bus stop to the main gate where you rent the strollers is a far walk for a 2 year old, so having one on the buses was much easier! There are tons of benefits of staying at a Disney hotel: dining plans, the Magic Bands, free airport transfers, character dining in the restaurants, free shuttles to the theme parks, etc. They also have different price points so go online and look at all of the options at https://disneyworld.disney.go.com/. -If you can swing the cost, staying on the Monorail with little kids would be awesome! There is the Grand Floridian, Polynesian and the Contemporary. 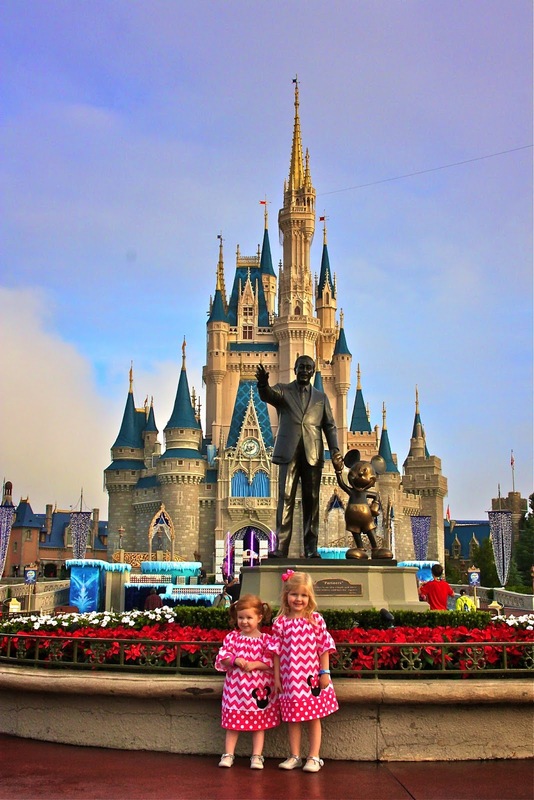 Most of your time with small kids is at Magic Kingdom anyway, so staying right there is worth it! -We wanted to stay at a Disney Hotel, so luckily we also had hotel points with Starwood Hotels (Sheraton, Westin, W's, etc) and they have 2 to choose from: Dolphin and the Swan. They are sister hotels right next to each other. We have the Starwood credit card and had been saving points, so we were able to get 2 rooms adjoining and if you stay 4 nights, the 5th night is free! Yes, 2 rooms. It was the best thing ever because they would crash around 7pm and we could stay in our room watching TV, ordering room service, etc. The only drawback to staying at these hotels, is that it does not offer the Magic Express shuttle to/from the airport and does not have a dining plan, because it's not technically owned by Disney, but it is a Disney Hotel (if that makes sense). We loved staying at the Dolphin! They had a ton of activities there for the kids, like Santa and Mrs. Claus storytimes, hot chocolate with Santa, cookie decorating, scavenger hunts, etc. AND they have a childcare/camp facility for children ages 4 and older. And they had special evening childcare for 2 hours so you could have a nice dinner one night sans kids. Unfortunately our youngest is 2 so we couldn't use it, but hope to next time we go! Okay, I know this is a big one. 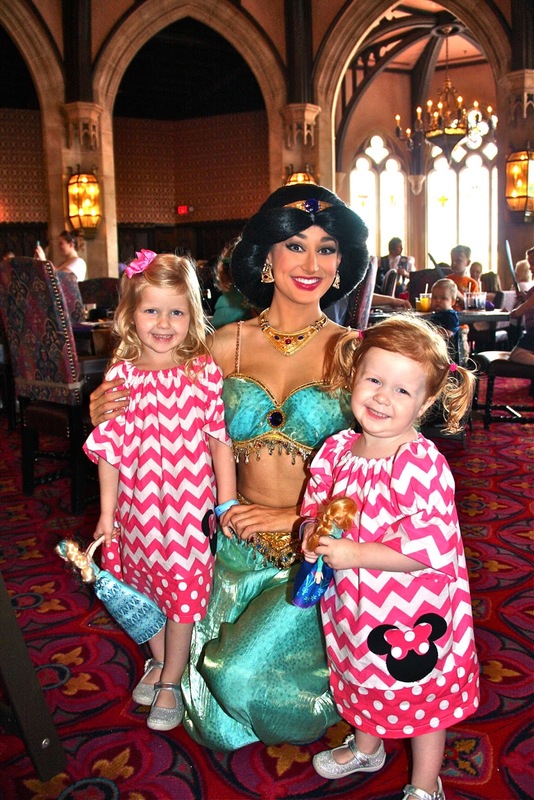 So many people have asked where and how to get a good character dining reservation. There are a lot of options, but I recommend a few for the young kids. You can make reservations 180 days PRIOR to your first day of arriving. Go to the Disney Website and make a profile first before you do anything else, so that way you are ready when the time comes. 2) Go to the disney website and then click on the 'make dining reservations' tab. 3) You will find the restaurant you want and the dates, and then go to the 'Check Availability' area. 4) After you enter the dates click 'find a table' and then pay via credit card. Don't forget to write down your reservation info and then link it to your profile on the Disney website. 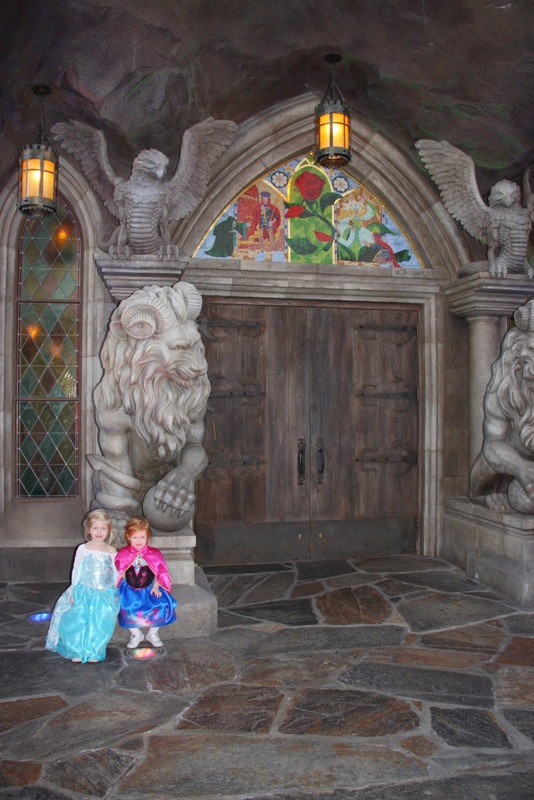 We only dined at 3 Character dining restaurants, Cinderella's Royal Table at her castle, Be Our Guest at the Beasts' Castle, and the Garden Grove at our hotel, Dolphin and Swan. 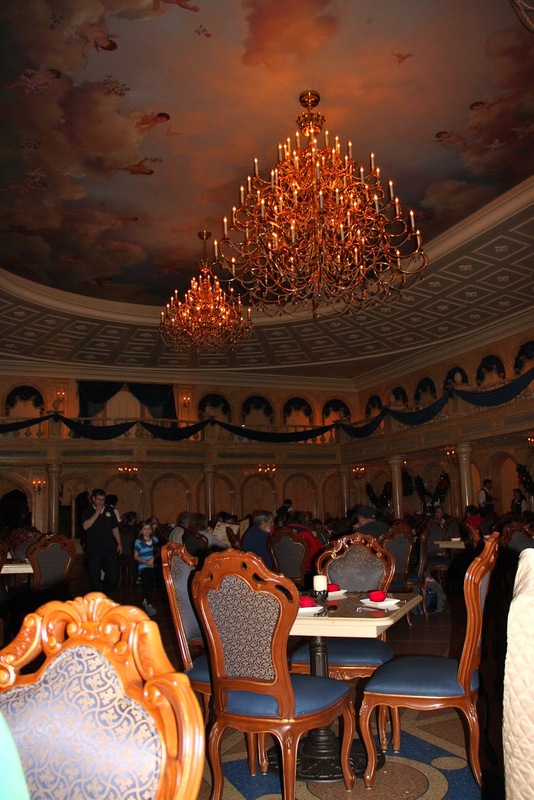 Cinderella's Royal Table: I woke up at 4:30am to get this reservation, sigh. We chose breakfast and got an 8:30am reservation. I have heard if you get the 8am reservation, you get into the park extra early and can walk around before it's open to the general public and get awesome photos. 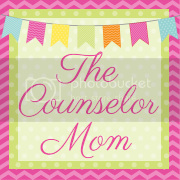 We loved our experience there! 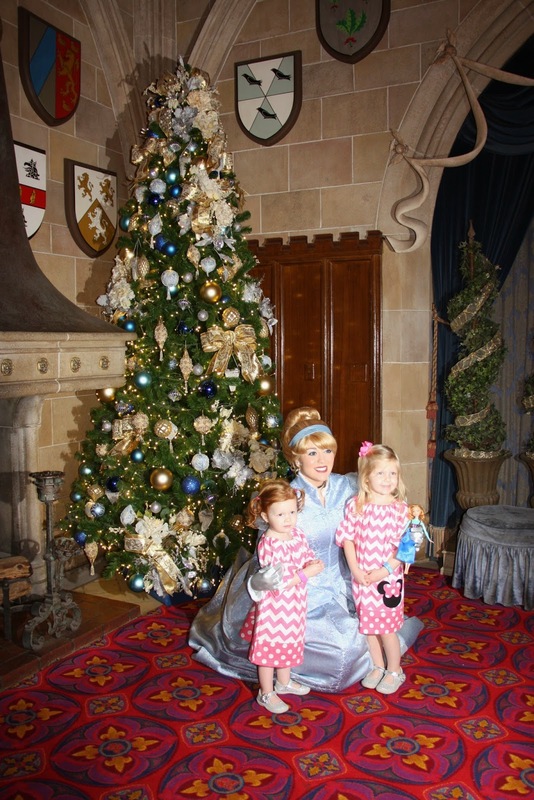 We walked in and Cinderella was there waiting for us to take a photo, then we went upstairs and sat in the main dining room which was beautiful! I was so excited to be inside her castle, it was really amazing. Then the princesses come out one by one while you are eating and come to each table: Ariel, Sleeping Beauty, Jasmine, and Snow White. I really enjoyed my breakfast and it came with a bread basket of pastries, orange juice, coffee and main breakfast choices. They have everything from lobster crepes to healthy egg white and oatmeal options. Be Our Guest: This is the newest restaurant and is in the Beasts' Castle in the new part of Fantasyland. It's really beautiful and you feel like you are really in the movie! You can get in for lunch without a reservation, as counter service, but the line starts at 9am to get in. I tried to get a reservation here for dinner 180 days in advance but never got in. So I waited until the day we arrived and went up to the hostess at 9am and asked for a dinner reservation and she had 1 left!! At 4:30pm and I jumped at the chance. And it was really worth it! The only character there is the Beast, but the interior is truly magical. The food is amazing and they serve beer and wine. If you can grab a reservation here, do it! Garden Grove: This restaurant is located in the Disney Swan, and is not on the dining plan, but is a Disney restaurant. They have character dining and the night we were there they had Pluto, Goofy and Chip and Dale. We ate an amazing seafood buffet too! Reservations are easier to get here, and you can call the hotel or make them online at the Disney website. There are many more and the top ones I heard are the Akerhus Royal Banquet Hall at Epcot. It's in Norway and has several princesses that will come around. Click here for more info. There is also the Crystal Palace at Magic Kingdom with buffets and Winnie The Pooh characters. And at Animal Kingdom, there is Tusker House which is Safari Mickey, Minnie, Donald, Daisy and Goofy. For boys not wanting princesses, there is the Star Wars Mickey dining experience at Jedi Mickey's at Hollywood Studios. *We did not do the dining plan, but you can read more about those on the Disney Website. *We stocked up at Publix Supermarket on the way from the airport (see above) and had a mini fridge in our room, so we ate cereal for breakfast a lot, packed sandwiches to take for lunches for our girls and lots of snacks. *Most young kids will take 2 bites of food and be done and then you've wasted a lot of money. This is why we brought our own food for them and ate at a lot of walk-up type places which are cheaper. We also scored at the walk-up Pinocchio's Restaurant in Fantasyland, where we ordered pizza while the girls ate their packed sandwiches, and were able to get a window seat overlooking the 'It's the Small World' ride! 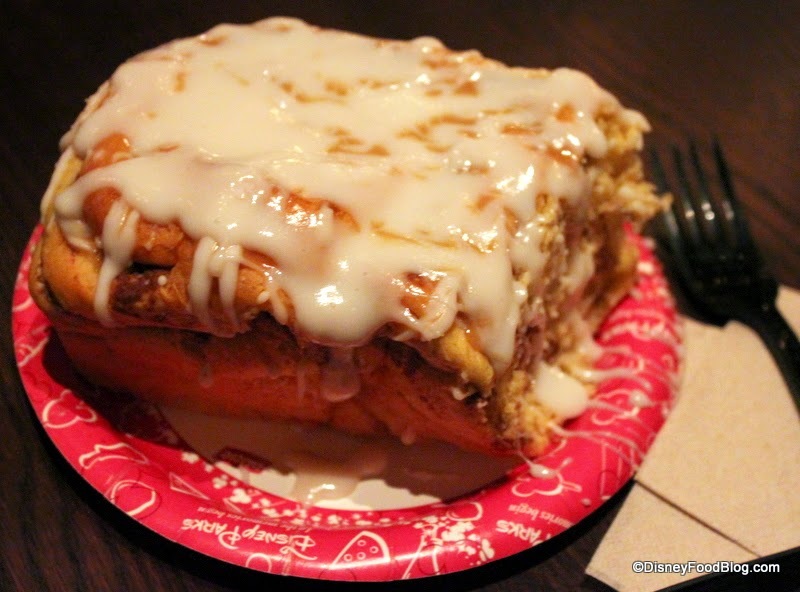 We also loved the walk-up Gaston's Pub in Fantasyland for breakfast where we ordered hot chocolates, coffee and these amazing chocolate croissants and cinnamon rolls! So don't worry, there are plenty of fast places, no need for every meal to be a reservation. The guidebooks all have touring guides for you mapped out for small children, but I am here to tell you they are INSANE. Here's an example: Arrive early to Magic Kingdom, ride the Seven Dwarfs Mine Train, get Fastpass for Peter Pan, see the Haunted Mansion, ride It's A Small World, ride Peter Pan, ride Splash Mountain, take the raft to Tom Sawyer's Island, eat lunch, leave the park for 3 hours to rest at hotel, Return to park and get Fastpasses for Buzz Lightyear, Meet Mickey at his pavilion on Main Street, see Monsters, Inc in Tomorrowland, ride Buzz Lightyear ride, get Fastpass for Jungle Cruise, go on Pirates of Caribbean, eat dinner, go on Jungle Cruise, get Fastpass for Dumbo, Barnstormer, and Winnie, meet the Disney princesses at the Fairytale Hall, get Fastpass for Ariel ride, ride Dumbo, Winnie, Ariel and then see the Main St parade. Yes, you read that correctly. Are you kidding me??? My children would have been committed to a hospital if we had done all of that in one day. Clearly these people do not have small kids. Clearly. *Animal Kingdom opens around 9am most of the time and closes early, around 5pm. So get there when it opens and then stick it out if your child naps. Just skip the naps when you go to this park. I saw plenty of kids napping in strollers, but sadly mine did not. We ate dinner back at the hotel and had an early bedtime. It would not make sense to be here at 9am, then take the time to go back to the hotel and then get back at 4pm if it closes at 5pm. *Magic Kingdom opens around 8am and closes late. I would strongly encourage you to get there at opening hours, make the most of the park being empty in the morning, leave around 12pm after lunch and rest at your hotel. Return around 4pm for rides, dinner and parades. We averaged about 5 rides/events in the morning and then about 3 things in the evening after dinner. 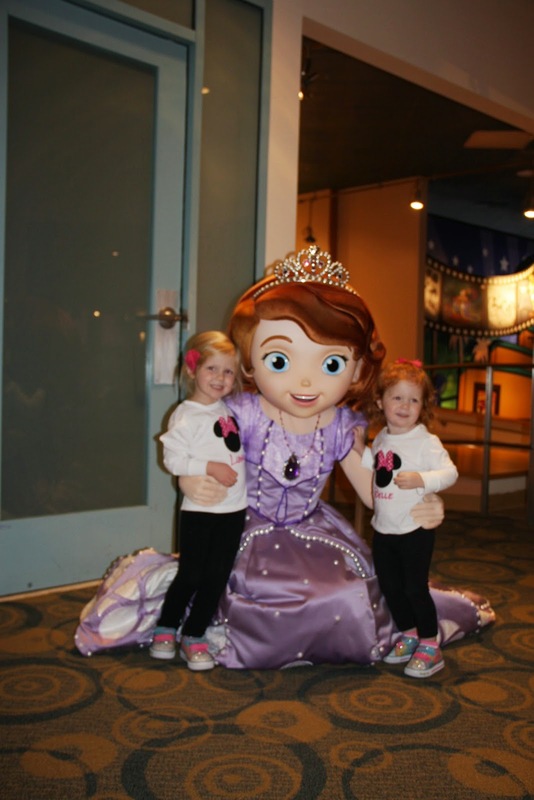 *Disney Hollywood does not have as much for younger children, so we stayed at our hotel one morning and did fun activities there, napped around 11:30am and then headed to Hollywood around 1pm-7pm. TICKETS: We bought our 4 day theme park tickets on the Disney website. They are discounted if you buy more than one day. Children under 3 are free! -These are passes that everyone can get, free. They come with your tickets. At various rides, there are 2 sides for the lines. One is for regular lines and the other will say Fast Pass. If you get in the Fast Pass line, you can bypass the larger regular line. It saves a lot of time! But choose events and rides where the waits are normally long. -You can use your app while at the park to make changes to them. This is huge! Say for instance you have a Fast Pass for Dumbo, but then see it's only a 5 minute normal wait, so you can switch it out on your app for another ride that has longer wait times. We did this constantly while we were there. -You get 3 choices up front, then once those are used, you can get another one, etc. But only one at a time after the 3 have been used. There are Fast Pass stations around the parks where you can change them as the app doesn't work well after you've used all 3 initial ones. -How to get them? Basically what you can do is go online 60 days before your first day you arrive (if you are staying at a Disney hotel), and you can make 3 selections of rides/events/parades. If you are not staying at a Disney hotel, you can get them 30 days in advance. 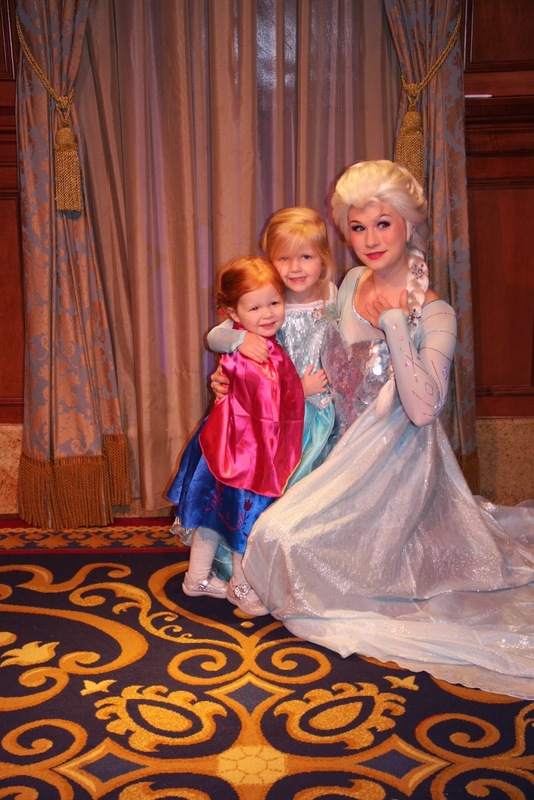 But get up early if you want the big ones like Anna and Elsa, and the Electric Parade. Yes, they have Fast passes for parades where you get a certain section of space reserved. Sigh. *Stroller Passes: There are stroller passes, so if you don't have a Fastpass, you can have your partner ride with one child, then you can fastpass to the front after he is done so you don't have to wait in line. Just have the first person ask for one when they get in line. -Magic Bands are bracelets that are tied to your tickets, dining plans, hotel, photo passes, etc. Our hotel did not use them to enter your room, but we bought them anyway (12$) because it's much easier to swipe them at the entrance to a ride, than get your old school ticket out. We also used them for the Photo Pass people. You can read about them on the Disney website. We bought ours at our hotel gift shop, but you can also buy them in advance with your tickets if you are staying at a Disney Hotel that uses them. PHOTO PASS: Disney Photo Pass. So this is a personal choice, but Disney has photographers all over the park at meet and greets, rides, character dinings, etc and will snap your photo, and then will connect it with your Magic Band. It is 150$ in advance and 200$ when you arrive for unlimited downloads of photos. I did NOT purchase the photo pass but wish I had. At the time I just did not want to cough up 150$ for this, but now I am kicking myself because it's a once in a lifetime experience and you want those photos. I ended up buying 5 of them, and at 15$ each it adds up. They took 100 pictures of my girls and was easily worth 150$ to me when I got back from our trip. Yes, I had my own camera but you get caught up in the moment and miss out on photos, or they aren't as good because you are wrestling a 2 year old too. *Get there early!! Seriously, it's a pain to get up but well worth it! We took the first bus from our hotel (7am) to Magic Kingdom, and by the time we got off, got our stroller loaded up and was up at the gate, it was 7:30am. We were right at the front of the line. There are several entrances, so there isn't one huge line. But we made sure we were right in the front. They told us no running and pushing once they opened the gates :) Everyone was there to see Anna and Elsa, sigh, so they had to take precautions. They walked us through Main Street when the gates opened at 8am and lead the whole crowd to Fantasyland. *I recommend 2 days at this park! With small children, you just can't do it all in one day. 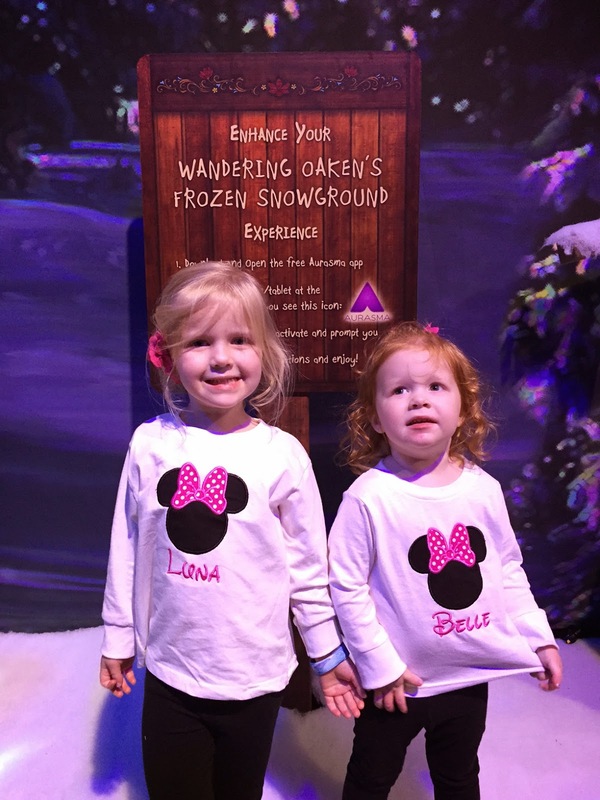 Besides Anna and Elsa (see below), we waited 30 minutes to See Minnie and Daisy located near the Barnacle Rollercoaster and Dumbo ride. It was an indoor circus tent theme, so at least it was indoors. There is also Mickey Mouse located in a building off Main Street but we sadly did not have time to see him. Ariel is located indoors as well at Ariel's Grotto in Fantasyland and Cinderella and Rapunzel are indoors by Anna and Elsa. The only character we saw a line for outdoors was the White Rabbit by the Teacup ride. We waited about 10 minutes to get our photo with him. The only FastPasses for characters are Ariel, Anna, Elsa, Rapunzel and Cinderella. 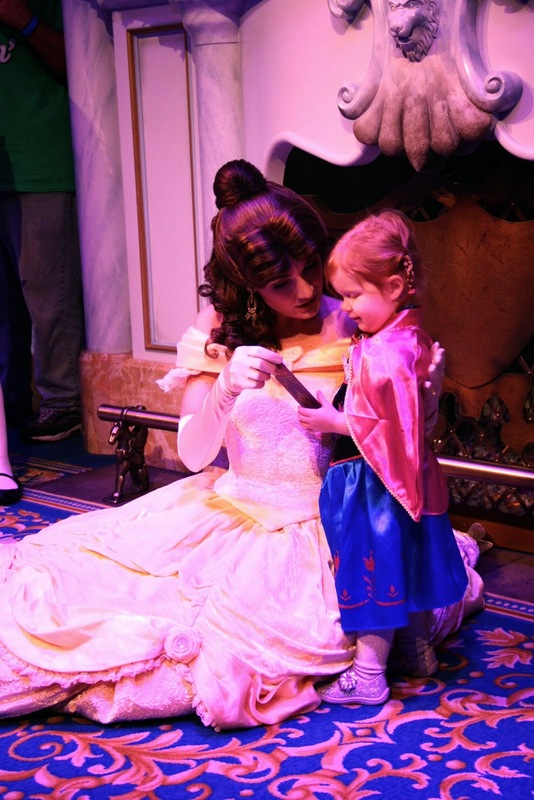 Enchanted Tales with Belle: This event I thought deserved a special little blurb. It's not a ride, yet also not a character meet and greet. Basically, you walk into this little room and there is a talking mirror that talks about the story of Beauty and the Beast. Then it magically opens up to a door and you walk in and are greeted by a staff member and a talking 'Wardrobe' where she grants each child a part in a play. My girls played the part of Chip and Mrs. Potts. 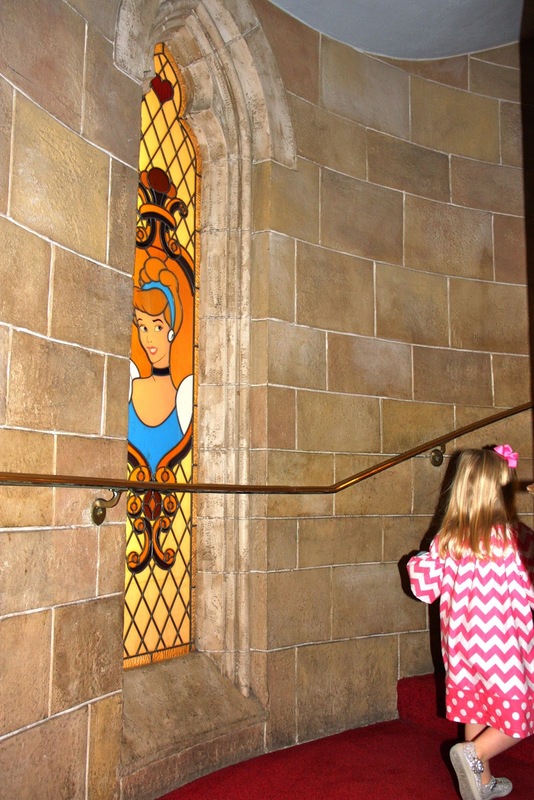 Then they lead the children into Belle's library chamber room and Belle comes out. Lumiere is on the mantle and talks to the children and helps lead the play. It is adorable! 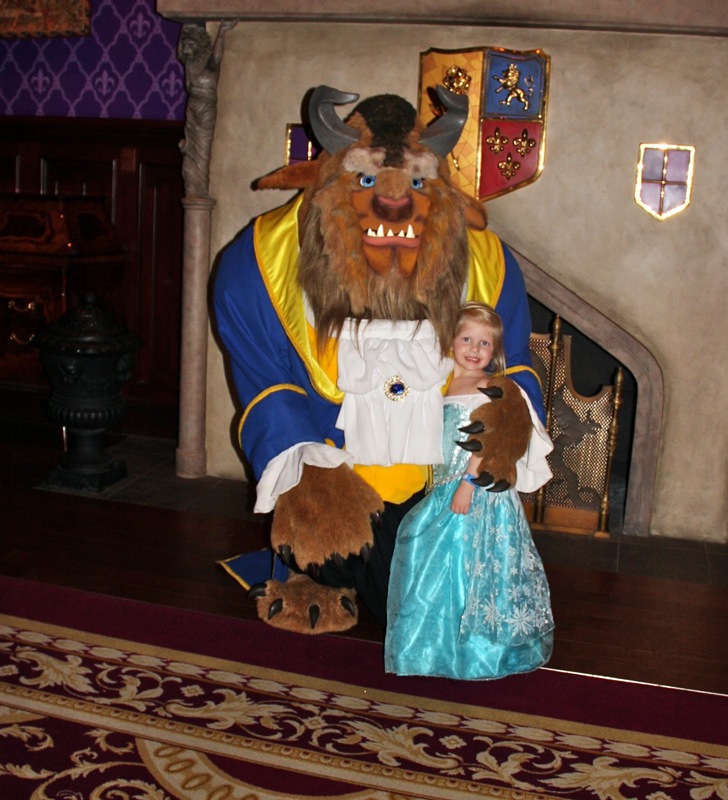 And at the end Belle leads the children around the room in a little parade, and then each child gets a photo taken with her by the Photopass people. I taped the whole play but it's a 5 minute video, so I decided to share the beginning part where they chose the parts for the children. -I did NOT get a Fast Pass to see them. I tried super hard, but just couldn't get one so I was stressed we would be waiting for 2 hours to see them. -Get to the park super early. That morning, we got to the park at 7:30am and was lined up right at the front with our stroller. They literally walked us through to Fantasyland, so no one would run or push. Don't judge but I coached my girls that morning. I told them that when I gave the signal and said 'hop out of the stroller!' they would get out immediately and we would get in line. My husband was good at not letting anyone push past him. -As soon as we neared the Fairytale Hall, the girls jumped out and I led them right into the flow of the line. We were 3rd!! Yes, 3rd in line! After we met the princesses, which was amazing by the way, we walked out and the line said '70 minute wait'!! In 10 minutes time, there was a 1.5 hour wait. Insane. And then we had the park to ourselves, and rode a ton of rides without a Fast Pass. Bibbidi Bobbidi Boutique for girls and the Pirates League for boys. Make the reservations 6 months in advance as well! 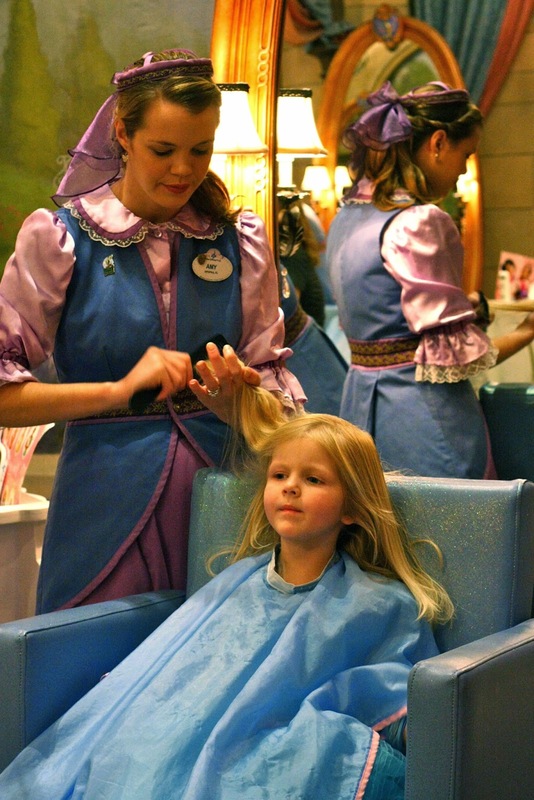 Bibbidi is for girls 3+ where they can have their hair and makeup done as a princess starting at 54$-190$. Just don't forget the princess dress at the hotel like I did. It's not required but it's a must to be wearing your dress when getting all made up! We brought 2 dresses with us, only to leave both at the hotel that morning (mommy had the flu) and had to buy one at the boutique. Yep, 80$ dresses thank you! But the experience was sooo worth it! My child chose the hair extension, don't ask me why. 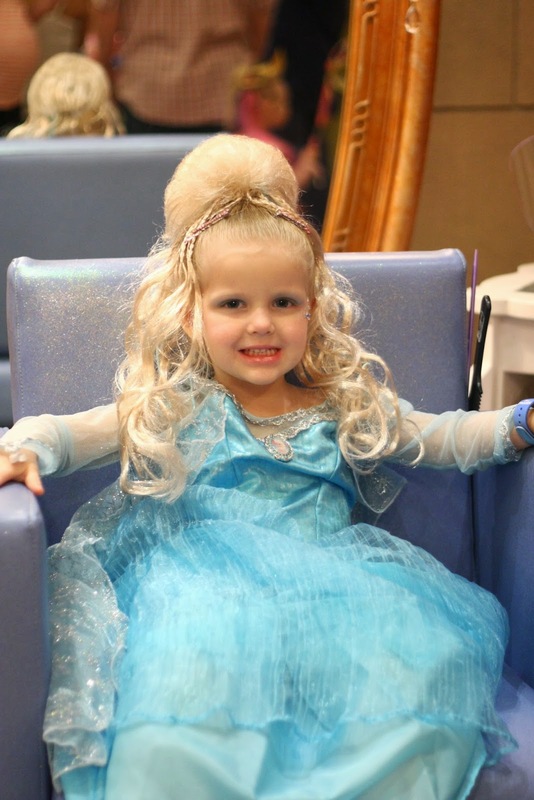 I wanted the cute Cinderella bun choice, using her own hair, but she wanted the wig lol. Oh and my husband took our 2 year old back to the hotel to nap on this day, since she wasn't old enough. I loved this park! It was the most amazing zoo experience I've ever had. It was just so clean, and the animals were in amazingly healthy condition. It just doesn't get any closer to the real thing. One day I want to stay at the Animal Kingdom resort where animals roam outside your windows! Did anyone ever see the Samantha Brown Great Hotels episode of this? You Tube it. It's awesome! The Fast Passes we had for this park were the Lion King Festival, the Kilimanjaro Safari and the Finding Nemo Musical. the actors and it was such a great experience! The Safari was by far the best thing ever! You really feel like you are in Africa and Asia. I wish we had been able to ride it again, as each ride you will see different animals. They import the terrain and vegetation to make it the most lifelike. The Finding Nemo Musical was really different and entertaining too! The girls loved the 30 minute puppet show/musical. Besides our 3 Fast Passes, there's a lot more to see and do at this park. There are trails where you walk through and see different animals, and of course the big ride attraction is Mount Everest. A huge roller coaster that my kids could not ride, and the lines were super long but looked really cool! And the water ride Kali River Rapids is supposed to be as close to a real white water rafting experience/ride where you have to wear a poncho because you are guaranteed to get wet. My husband and I are both waiting to go back when the kids are older to do more. Oh and there's the Dinoland park there with carnival type kiddie rides that we just pretended not to see and walked right past them..lol.. we figured we could ride those back home at the State Fair of Texas so why waste our time. DISNEY HOLLYWOOD STUDIOS: I was super sick the morning we were supposed to go, but luckily our first Fast Pass was not until 2pm. So we took the boat from our hotel around 1pm and walked around the park, then did our first Fast Pass which was the Frozen Sing A Long. The girls LOVED this, where the actors were on stage singing the songs and there were jumbo tv's with the lyrics on it. At the end they sing 'Let It Go' and snow falls down out of the ceiling! There is also an Oaken Trading Post nearby we stopped at on the way, with tons of souvenirs and a real indoor snow park. We then went into the Animation Hall where lots of character meet and greets are. We saw Princess Sofia, Fantasia Mickey and Jake. Next we did the Disney Jr show, where all of the Jake, Doc McStuffins and Mickey Mouse Clubhouse are puppet characters on a stage. The kids are encouraged to dance and it's a lot of fun! EPCOT: We did not go to Epcot because for ages 2 and 4, there's not much to see. Don't get me wrong, it's one of my favorite parks as an older kid and adult (I was last there when I was 24)! But the countries I knew would bore my kids to death and just figured we'd wait until they were older to go. The princess dining hall there, Akerhus Royal Banquet Hall, is supposed to be awesome for character dining, so you could always do that, see the Aquarium and make it a half day excursion. -Ponchos. It rains in the afternoons there, and you don't want to buy a 20$ one there, when you can get one at Walmart or Target cheaper. -iPhones for video coverage. I have the iPhone 6 and the video quality is superb! I took our 5 year old Sony handheld (2008) and so glad I only took a few videos with it, because it just does not even compare. Plus your phone is easily available to take out of your pocket, etc. I did bring my big Canon 35mm and wore it around my neck for most of the time. But I am also one of those picture freaks and make photo books with them. -A Backpack. I used our diaperbag backpack on our trips for the parks. It clips onto the stroller and then when you park the stroller and get on a ride, you can just slip it on your back. I carried our personal items like wallets, cameras, autograph books, snack bars, phones, etc in it because you obviously don't want to leave the stuff in your stroller. You can also take a grown-up style backpack of course, it was just easier for the diaperbag kind with small kids like the Ju-Ju-Be B.F.F. Convertible Diaper Bag. I love the side pockets for cups, soft changing pad in the back, and the storage space inside is awesome. Plus when your 2 year old wants you to carry her, a backpack is easiest to manage. -Pack water bottles, and lots of snacks. Granola bars, raisins, trail mix, cracker packs, etc. Small children have frequent meltdowns and having food on hand is a must! And adults get cranky hungry too, just saying. This stuff is great to just throw in the bottom of the stroller. -Don't forget a change of clothes for the kids and costumes if needed for the stroller. Having a Princess dress/pirate outfit in the stroller so they can change in and out of them if needed. -Lots of families have shirts and outfits made for the trip Disney style. I saw lots of t-shirts that said things like, "Smith Family 2014" in a Disney font. I had t-shirts made on Etsy of my girls' names in the Disney font and Minnie Ears. It's nice to have when you are meeting characters and they know your kid's names already from the shirts. 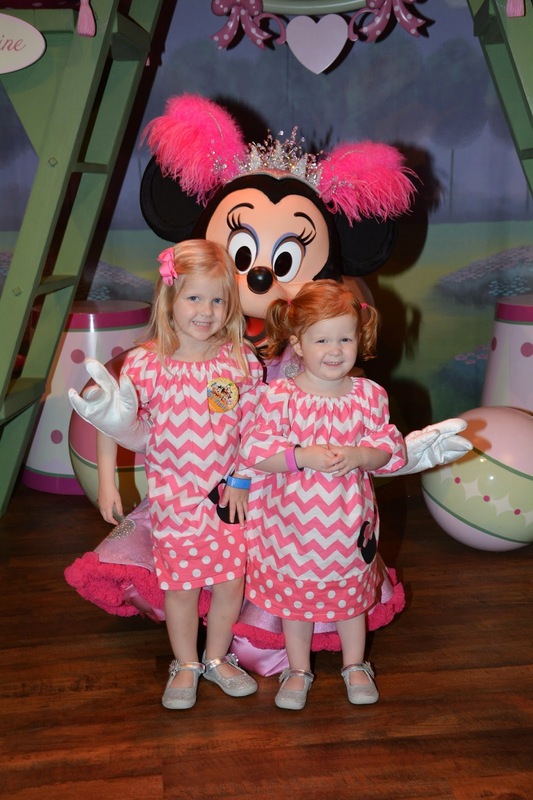 I also had cute dresses made on Etsy with Minnie Ears on them and in pink. If you don't sew (or don't have the time), go to Etsy to search, and you will see a ton of choices! -Our hotel had washing machines and dryers to use if needed, because as you know, kids get so dirty! But if you can't wash clothes, not that I love over packing, but remember how dirty kids can get at parks, so pack accordingly! -Pack the Sunblock! Even in December it can get hot. -Plan an average of what bedtimes will be, and naps or no naps. If your kids are like mine, the later they go to bed, the earlier they wake up. We tried hard to get them to bed at a good time, but it is hard as you are so excited to be there and don't want the nights to end. 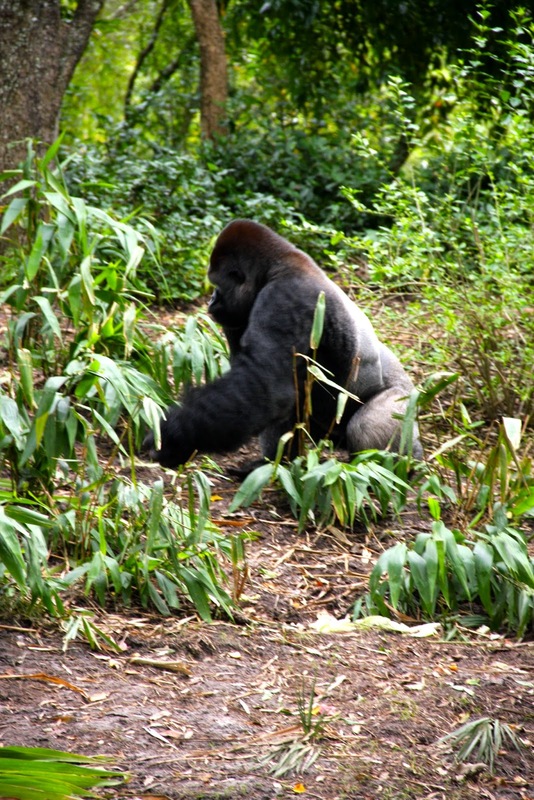 -Do plan on a rest time (except for Animal Kingdom days where the hours are 9-4/5pm and you are there for one day). Young kids need to nap or they will be a hot mess the rest of your trip. That's why it's good to get to the park early, go back and rest up, then go back later. Or rest in the morning and get to a park around 1pm-7pm. -Scary factors: Be mindful that your child may be afraid of some rides or characters. 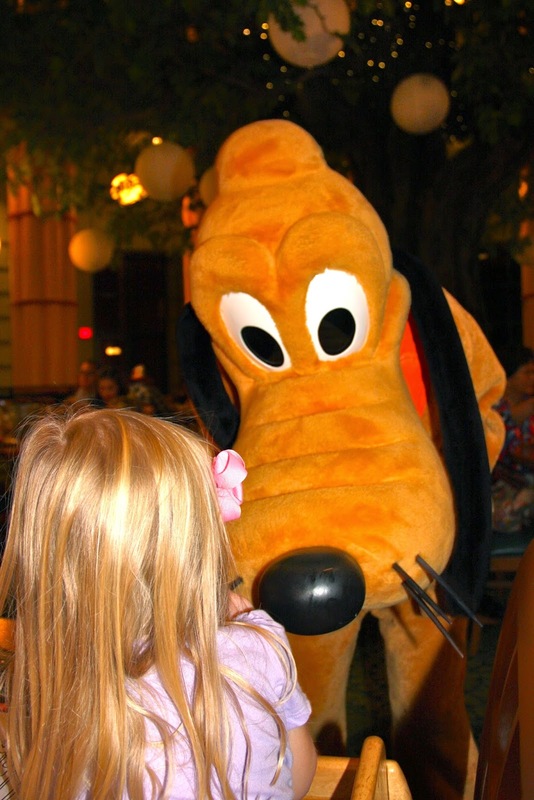 You never know how your child will react, and my 2 year old outright balled when Goofy came over to her. She loves him on TV, but not in person. She loved the princesses though. She was also a little scared in Pirates of the Caribbean. The Haunted Mansion was closed for repairs, but we would not have taken her on that one anyway, as it would probably have spooked her too much. My 4 year old loved the Seven Dwarfs Mine Train, but I also have friends with 5 year old boys who were too scared to ride it.